Mariana is a Certified Business Coach + Consultant and international best selling author. She helps seasoned coaches and consultants scale their businesses by creating and launching their profitable group coaching programs. 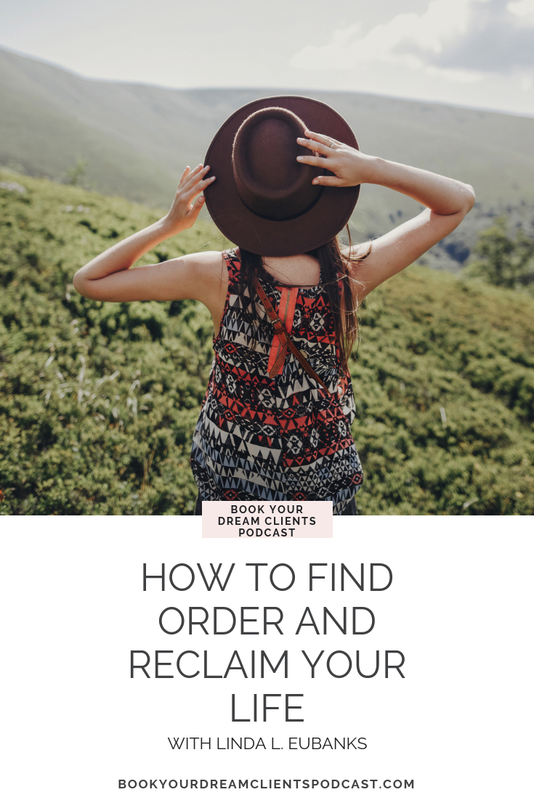 She uses her background in brain science, hospital administration, and 12 years of marketing, sales, and business experience to help you get results for your clients at scale, market in a way that attracts your ideal clients, and convert followers to group coaching clients through service-based selling. She has been featured in various podcasts, blogs and online courses including the Huffington Post, Today.com, and The Millionaire Insider Extravaganza. Through working with hundreds of businesses, she has empowered them to increase their profit and serve more people all over the world with group coaching. You can catch her podcast The Impact Driven Entrepreneur Podcast on her site ImpactDrivenEntrepreneur.com, iTunes, Stitcher Radio, iHeart Radio, or Google Play. Karen Carlucci is a licensed Psychotherapist and Professional Coach in New York City specializing in helping people through the unexpected. Since losing her fiancé suddenly on September 11th, she has been working on strengthening her own resiliency both personally and professionally through writing, speaking and connecting with others. In addition to a BA in Human Resources and an MSW from New York University’s School of Social Work, she holds certificates in Training and Organizational Development and Adult Psychoanalytic Psychotherapy. Karen has been an adjunct instructor of Short-Term Therapies and Crisis Intervention at NYU’s Silver School of Social Work and currently serves on the Advisory Board for Aircraft Casualty Emotional Support Services (ACCESS) and as a Field/Academic Advisor at Columbia University School of Social Work. Sarah is an internationally recognized LinkedIn Specialist & Online Presence Mentor who has personally coached, mentored and guided over 1,900 entrepreneurs. She helps them position themselves as experts on LinkedIn, shows them how to find & express their unique voice & stand out as thought leaders. As a result they find their tribe, get the recognition they deserve & a steady flow of clients – with ease & not sleaze. In addition to her LinkedIn expertise, Sarah is known for helping fellow introverts market their business authentically & anxiety-free, sell their services & make a difference. She’s also the host of the ‘Introvert Biz Growth’ podcast where she has conversations with introverts who have grown their business using their introverted super powers. She lives in beautiful Switzerland where she was born and raised, but considers herself an alternative thinking citizen of this world who’s on a mission to bring more kindness to business. When she’s not working she loves adventure & traveling (ask her about her alter ego in Sicily), yoga & nature walks or hanging out with her 3 boys (a husband and two teenage sons). Jessica Terzakis (TER-ZAH-KISS), a content creator with Terzakis and Associates, helps entrepreneurs break out of the “wish they had a program or an online course” cycle by creating it with them or for them. Having a Master’s degree in education and having worked as a high-school English teacher, she knows the ins and outs of how to create engaging content. She now assists overwhelmed and frustrated entrepreneurs better communicate their brilliance and stand out. So many entrepreneurs think that they can go right from active income where they work 1-1 with clients to passive income, where they create a “make money while you sleep” online course. The step between active and passive income is leveraged income, the “one to many” model. It’s an incredibly lucrative in-between. A group program is the smarter way to go. It’s super easy to set up, it’s fast money, and if you’re already working 1-1 with clients, it’s next logical step because you leverage what you do with 1-1 with a group. And, it takes a lot less time than it does to set-up and launch an online course. Samantha is a business coach and the host of the Badass Mother Podcast. She started as a coach after struggling to find her identity after becoming a mother and now is very passionate about helping other moms build businesses from home and balance entrepreneurship with motherhood. She is a mom of 3, an over-volunteer-er, and a travel lover – she and her husband met while studying abroad in college and are always taking their kids on epic adventures. Laneic Lavalle is a copywriter/content strategist for ambitious female entrepreneurs who are ready to stop adding to the noise and start creating amazing content and copy that moves their business forward. When she's not having strategy parties with her clients she's binge-watching anime or Archer, reading, or consuming coffee. You can follow her on Instagram or Facebook for copywriting and content creation tips and the occasional meme. Let’s dive into the highlights! In this episode we interview Emily Aarons and talk about how to attract your soulmate clients. As an international, keynote speaker, contributor to Social Media Examiner, and founder of Social Media Traffic School, Sally specializes in target market research, marketing funnels, digital courses, and Facebook advertising strategies. With 25 years as an actuarial statistician, Sally has been turning statistics into stories for companies to adjust and tweak their marketing programs to be effective. Getting the real meaning across is her forte. In addition to working with solopreneurs and small businesses to help them plan and accelerate their marketing strategies using Facebook, Sally also works with medium and large size companies to create strategic Facebook marketing plans and train marketing departments to carry out company objectives. Her methods are used to successfully increase return on investment. Sally resides in Nashville, Tennessee with her husband and daughters. Lee Chaix McDonough is a coach, therapist, and founder of Caravel Coaching. After over a decade as a licensed clinical social worker and public health professional, Lee entered the coaching field to help therapists, coaches, and creative entrepreneurs grow successful businesses and fulfilling lives. Lee is a proud alumna of the University of North Carolina at Chapel Hill, where she received her Bachelor of Arts, Master of Social Work, and Master of Science in Public Health degrees. Prior to starting her own business, she worked in a variety of professional settings, including hospitals, local governments, non-profit organizations, the Department of Veterans Affairs, and as a civilian for the United States Air Force. Lee is a graduate of the Institute for Professional Excellence in Coaching (iPEC), and is a member of the National Association of Social Workers and the International Coach Federation. She holds the ICF Associate Certified Coach credential and is also an Energy Leadership Index Master Practitioner. Her coaching philosophy fuses the principles of Acceptance & Commitment Therapy, Energy Leadership, and mindfulness in order to help her clients excel at entrepreneurship and transform their lives. Today I want to talk about how we can avoid being a one hit wonder coach. This episode explains three things you need to be doing now in your coaching business… and the best part, all the tips don’t cost any money! I see so many coaches putting little paragraphs of information and not a full page of information. Think about it from the client experience, what would be attractive to you going onto a sales page? Ensure to include that in your page. You want to continue to raise your pricing to reflect your growth. Your knowledge grows, so people should be paying for more advice. As you invest in yourself, you have the right to raise your prices. In this episode I talk about practical tips of what to do when you are feeling stuck, let’s dig into the highlights! Linda L Eubanks, a sassy and Smartie popping home organization consultant and life coach in Tampa Fl. After leaving an abusive marriage, Linda hid in a 400 square foot hotel room where she used her personal organizing skills to reclaim her life. As the owner of Black Label Living Space, it's her personal mission to use her superpower of creating order and structure to empathize and invoke action to female entrepreneurs and career enthusiast who want to get organized but don't know where to start as they learn to thrive within themselves, their families and their community. Let’s dig into the highlights! How do I make engaging videos on short topics so the audience does not get bored? On today's episode I'm chatting with my friend Christine Blubough about all things copy! 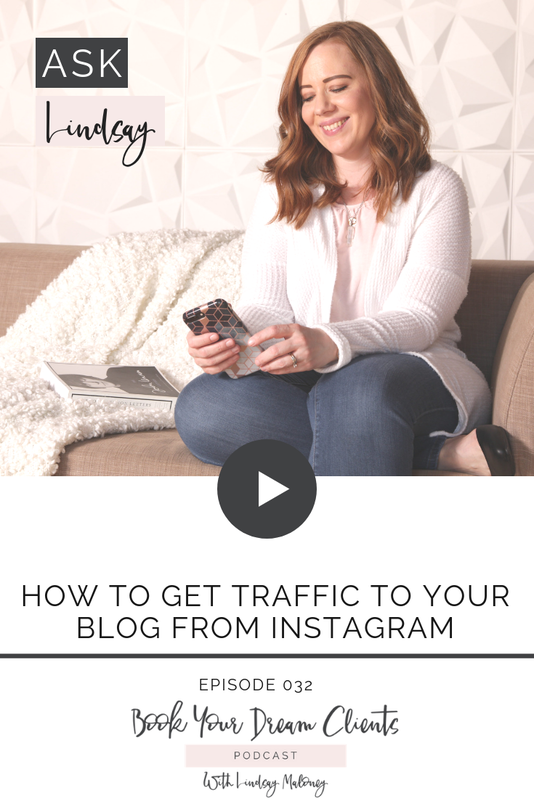 We're chatting about some juicy topics like how to speak to your ideal client (even if you haven't work with anyone YET), why niching down is a must, how to have a killer Instagram bio, how to write copy so your audience feels like you're reading their minds, and how to ask for those testimonials so you can get more dream clients! Christine is a Conversion Copywriter for online service-providers who want to sell out launches and sign more clients with copy that turns readers into raving fans and prospects into (happily) paying customers. There's so much goodness in this episode so be sure to take notes and show Christine some love on Instagram - @christineblubaugh as well!